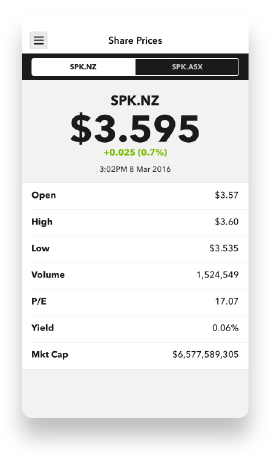 The latest company information from Spark New Zealand. 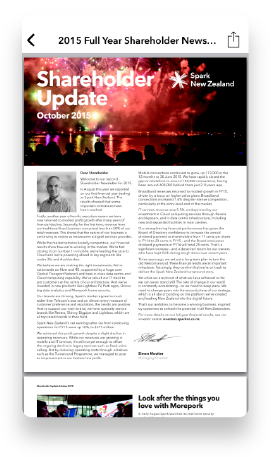 Stay up to date with company announcements, results and reporting dates, access share price information, annual reports, investor presentations and dividend information. 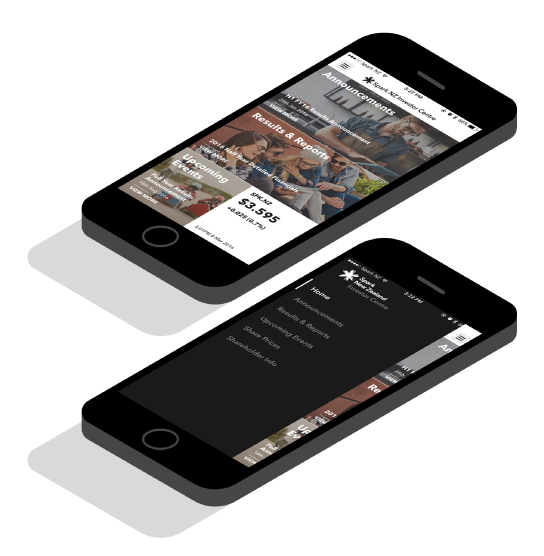 The beautiful new Spark Investor Centre mobile app connects with company investors and key stakeholders in an experience reflective of Spark’s business culture and brand. 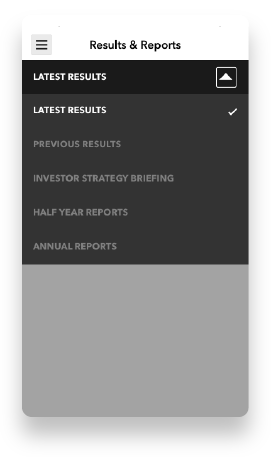 The app makes accessing all company announcements, public releases statements, and reporting in one convenient location. 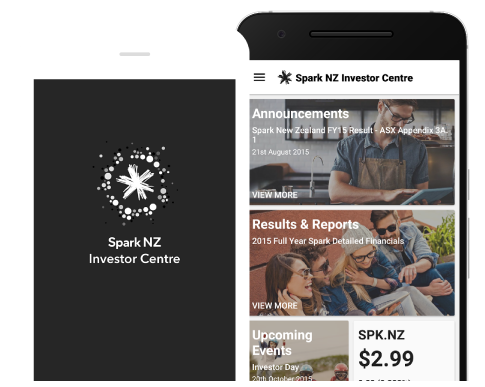 Everything for investors and key business stakeholders can be found in the Spark Investor Centre. 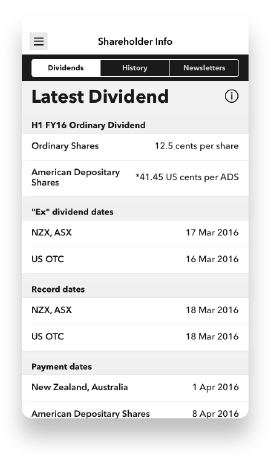 Dive into detailed financial reports and results right from your mobile device. Never miss financial earnings call or report release date. 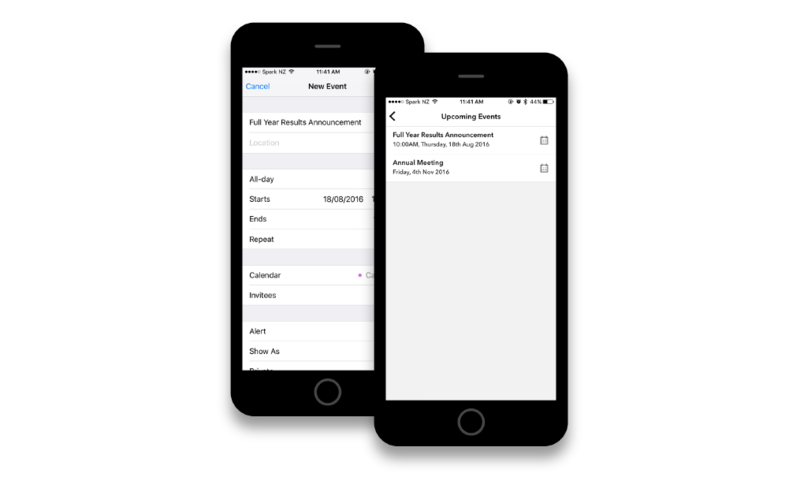 Easily upcoming events to your native calendar with a tap.